Besides being a podiatrist, I’m a mom. My middle son plays baseball and tis the season for baseball injuries! Your feet and ankles take a beating when you’re playing baseball. 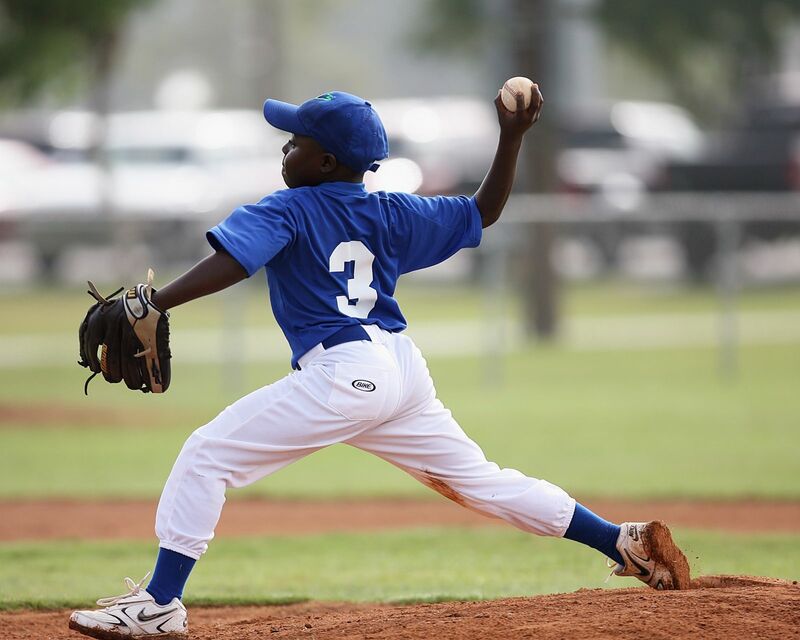 Baseball players should be aware of the following risks. Ankle sprains may occur while running, fielding balls, stepping on or sliding into bases. Sprains should be evaluated by a podiatrist to determine the extent of injury, including possible peroneal tendon injuries or fractures. Overuse or excessive training may sideline some athletes with Achilles tendinopathy or heel pain (often plantar fasciitis, or calcaneal apophysitis in children and adolescents). Cleats may pose challenges in the forefoot and aggravation of neuromas, sesamoids, bunions and hammertoes. One of the most common injuries seen in pitchers and catchers is ingrown toenails. The best way to treat a foot or ankle injury is by preventing it or immediately following the injury. With every sport comes the gear. You make sure you have all the padding you need, but are you checking to make sure your shoes are the best for the sport? How about the correct size? Wearing ill-fitting shoes can lead to big problems. Often players are more susceptible to ankle injuries and ingrown toenails. We have seen many athletes try to ignore or down-play their injuries in order to stay in the game. This usually leads to a more severe injury and longer recovery time. Once you have a foot or ankle injury be sure to see a specialized doctor, a podiatrist, to diagnose the problem and design a treatment plan to get you back in the game safely and quickly. We understand the most important concern for our athletes is how quickly they can get back in the game with the least amount of down time. We have different treatment options available to help our athletes. Laser therapy is a great option as it is completely painless and safe. It is done right in our office. It has no side effects, no down time and no needles. Our patients, especially our athletes, love the safety and convenience of the laser.